It's here! American toy superstore company Toys R Us has released its Fabulous 15 Christmas top toys list. It's a useful guide for the hottest international toys for Christmas, but please bear in mind this is a list from the US, so not all items may be available in the UK. The UK Toys R Us Christmas Toys lists will be coming very soon. Click on the toys in red for pics, info and the best UK online prices! Get ready for a royal ball with the gorgeous Sofia Royal Talking Enchanted Vanity Table. 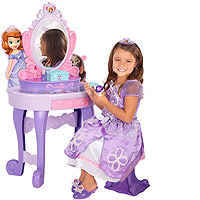 Standing over 3' tall, this dressing table comes with eight beauty accessories and six princess lessons! The new Doc McStuffins Deluxe Get Better Check-Up Center comes with everything Dotty needs to play doctor for her toy friends. With a light-up, talking tabletop area and X-rays plus a talking Big Book of Boo Boos! Own you very own Minion Dave, complete with authentic jeans overall. Press his chin once to hear him speak and change his facial expressions, and twice to hear him sing! or talk to Dave, and he'll even talk back! 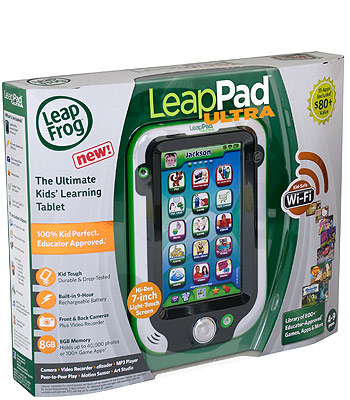 With access to over 800 fun apps, games, videos, e-books, music and more, the LeapFrog LeapPad Ultra Learning Tablet just gets better and better. With front-and-back cameras and video recorders plus built-in Wi-Fi, this a serious piece of kit for serious fun times! Introducing the ugliest dog around! 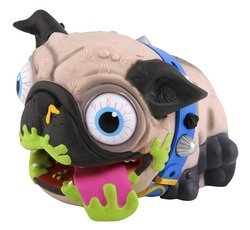 This interactive, electronic hand puppet makes over 30 revolting sounds, including burps and farts, and even snores when you leave him alone! Ever After High school, where the teenage sons and daughters of famous fairytales decide their own destiny. Briar Beauty, daughter of Sleeping Beauty, is always ready to seize the day and hides any tiredness behind her fancy shades. The Lion and Eagle tribes must fend off Cragger, Crawley and Razar, trying to reach the sacred CHI orb high above the temple. The Lion CHI Temple features a lion gate, a pit and a rotating tower cannon to keep your foes at bay! The Razor Crazy Cart features a drive system that allows it to drive forward, reverse, sideways, diagonally and everything in between. Go-kart and crazy cart modes offer two different ways to ride, and the variable-speed foot pedal lets you accelerate to speeds of up to 12 mph. Xbox One was built by gamers, for gamers. 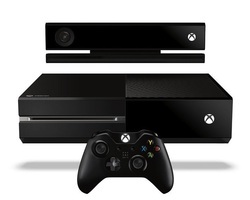 The perfect balance of power and performance, Xbox One takes gaming to a whole new level. With the best games, TV, movies, music and sports all in one place, you don’t have to compromise. Switch instantly from one to another, or enjoy two at once, so you never miss a moment. And talk with family and friends on Skype while watching TV. 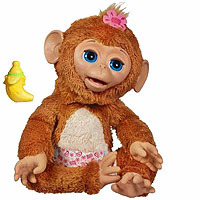 Go bananas over the Furreal Friends Cuddles My Giggly Monkey Pet. Feed her with the included banana-shaped bottle and she'll move her mouth, and giggles when she is tickled or cuddled. Cuddles will slowly close her eyes and start to snooze when rocked to sleep. 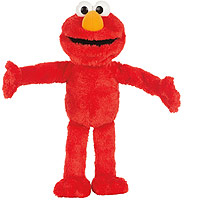 Elmo loves to give a hug, play his songs, dance, or play astronauts or rabbits with you. More than 50 animated sounds and phrases help keep each Elmo moment special! 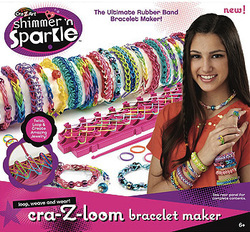 The Cra-Z-Art Shimmer 'n Sparkle cra-Z-loom Bracelet Maker turns ordinary rubber bands into cool jewellery you will love! Make your own unique rubber band bracelets, necklaces, rings and more. 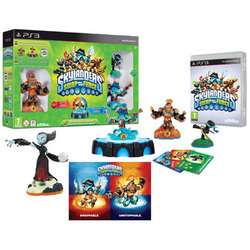 Expand your gameplay experience with the Skylanders SWAP Force™ Fiery Forge Battle Pack. Play with or against your friends in new battle arenas. The Fiery Forge Battle Pack includes the Bumble Blast and Series 3 Terrafin figures and the Fiery Forge Battle figure that opens new battle arenas and then transforms into a magic power figure. Place the palm of your hand under the Flutterbye Purple Flying Stardust Fairy to guide her flight and make her fly higher or lower by simply raising or lowering your hand! 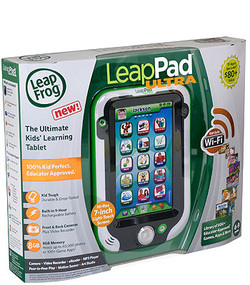 This Toys R Us exclusive tablet is preloaded with 30 apps, including games like Bejeweled 2 and Fruit Ninja, with lots more available from the tabeo App Store. The 8" multi-touch screen has 1024 x 768 pixels for a great picture, and the dual-core 1.0 GHz processor and quad-core graphics processing unit (GPU) allow quick and easy switching between browsing the Internet, viewing movies and playing games. Not available in the UK - yet.